I love dressing my kids up for the Holidays, but finding Valentines Day Outfits for Girls & Boys isn’t always easy, they can get pricy really fast at the local boutiques in our area so I thought I would help you out and round up some of my Favorite Valentines Day Outfits for Girls and Valentines Day Outfits for Boys this year! I’m loving this Young Hearts Girls 2 Piece Set for only $11 on Amazon! This is a great price on an outfit that is adorable but could still be worn well after Valentines Day! This Young Hearts Baby Girls Infant Set is Perfect and it ships FREE If you have an Amazon Prime Account. Priced at only $10.50 this is another adorable option! This Young Hearts Girls Set is priced at only $11.95 right now + Shipping is Free if you have an Amazon Prime account! 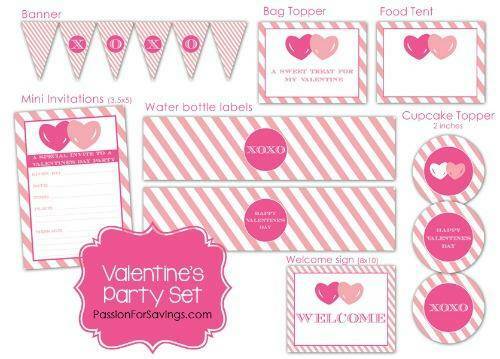 This Girls Young Hearts Set is priced at only $8.71! That’s an awesome price for a 2 piece set. Sizes 2-6X. You can grab this LOVE T-Shirt and Pants for only $8.71 also on Amazon. Sizes 2-6X Available! You can also grab this set of 2 Corker Hair Bows for just $6.99 shipped! There are several colors but I love these Red & White Valentines Day Bows! I just know my little girl would go crazy for these Heart Shaped Sunglasses! These are adorable and they Ship FREE Priced at just $2.85 per pair! This Mommy’s Heartbreaker Body Suit from Carters is only $7.20 + Ships free with Amazon Prime! I also love this Single and Lovin’ It Set from Carters. This is priced at $10.99 + $3.99 in Shipping! Or grab this Carters Baby Boy 2 piece set for Valentines Day! These pants are a little more of a Coral Color but still oh so cute! For Older Boys I’m loving this “This Guy Loves Valentines Day “Shirt! This is only $16.99 on Amazon right now.